Does dark energy inhabit the Earth? Are the spirits of the dead exerting influence over our lives? Is possession real? Is there scientific proof of life after death? These are just a few of the topics explored by world-renowned energy healer and New York Times best-selling author Deborah King when she recently appeared on GaiamTV’s hit show Beyond Belief, hosted by Coast To Coast AM’s George Noory. 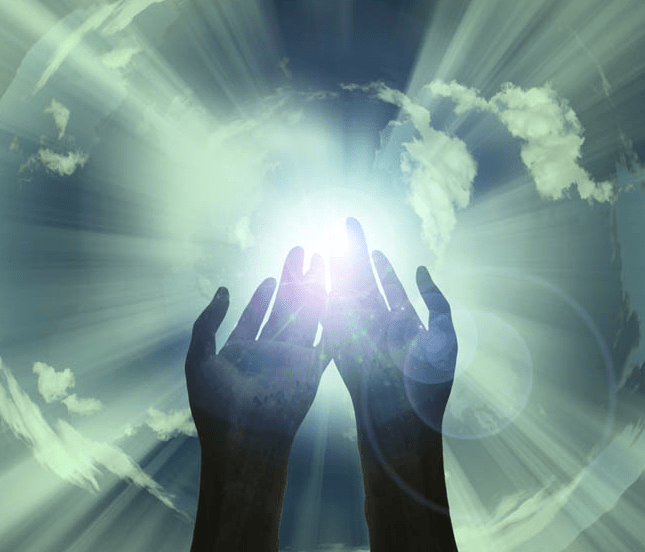 Deborah King discusses clearing dark energies with George Noory! Sign up for a FREE 10-Day Gaiam TV Trial so you can watch Deborah’s newest episode and explore all that Gaiam has to offer. 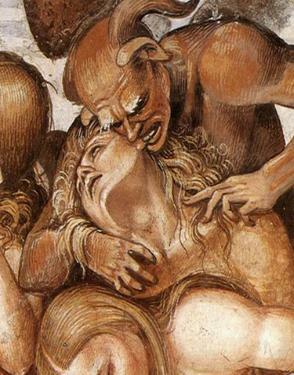 The darker corners of spiritual life often provide fodder for scary movies, and stories that frighten us as children. But the dark forces of our nightmares have a basis in the real world – sometimes we can even feel these powerful energies in our own bodies. Indeed, physical and mental illnesses often have spiritual causes that we cannot see. What negative influences are at play behind the scenes, and how can we root them out in order to lead fuller, happier lives? Read on to find out. Does Possession Exist Outside of Horror Movies? Over a century of Hollywood movies, we’ve been introduced to a vast array of ghosts, demons, and malevolent spirits who seem determined to harm humanity. As terrifyingly made-up as we’d like to think these stories are, they may indeed be far more realistic than we realize. Why are these movies so popular year after year? We find scary movies about exorcisms and evil spirits so fascinating because they tap into a deeper truth that we feel in our collective unconscious. Dark energy is real, though it is rarely spoken about. One example – possession – may hold the answer to why some people seem to have a cloud of darkness over their entire lives, and just can’t feel good no matter what therapy they try. Some even turn to alcohol and drugs to mute the pain. 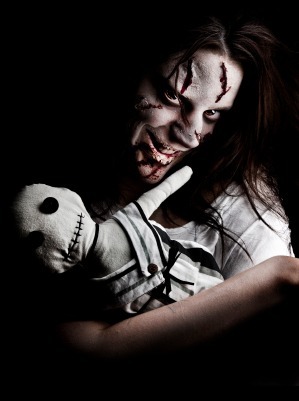 Possession is a severe form of psychic attack, wherein the victim’s entire being – mind, body and soul, can be controlled or severely impacted by a dark negative energy. The possessing spirit can play with the victim like a puppet on a string, creating deeply frustrating and painful emotional dissonance within. They exhibit bizarre behavior changes without warning. They frequently blackout and are unable to remember periods of time. They report personal contact with an unseen entity. Hearing voices, strange touch, even smell. They have a fear of holy places and objects and will avoid them at all costs. They display unexplainable supernatural powers, like telepathy, telekinesis, speaking in tongues, even levitation. 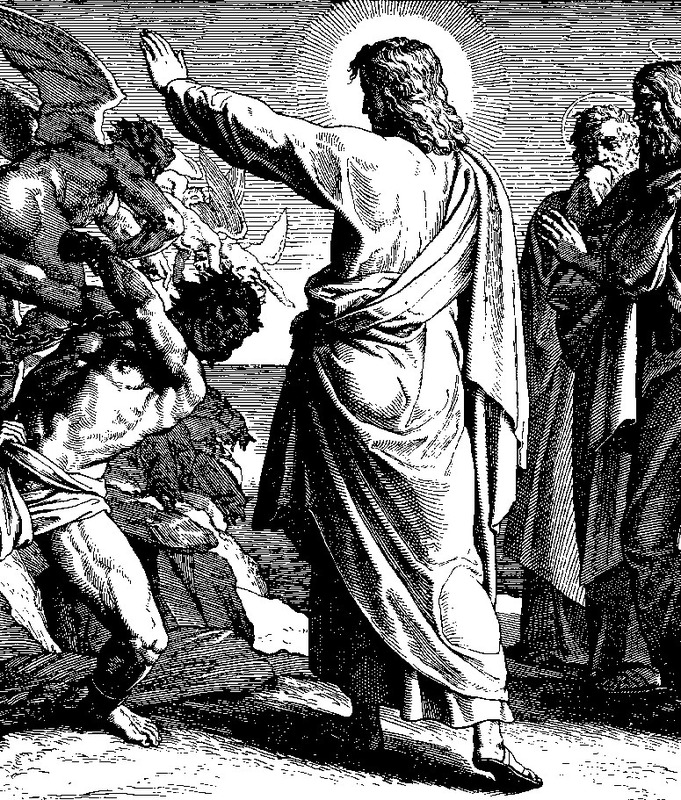 Running with a dark crowd – people and places that have a dark, negative energy. Burying negative emotion instead of dealing with it. Not taking the time to heal and restore energy when you experience imbalance. 1. Clean living. Steering clear of drugs and alcohol and the social settings that encourage them is a critical weapon against malevolent spirits. 2. Respect your body. Eating right, getting lots of exercise, sleep, and sunshine is the path to creating a stronger, more confident vessel which will be impervious to psychic attack. 3. Seek out help from an experienced guide. You must shine a healing light upon your own life – releasing the pain of the past and embracing a positive future. The best way to begin this process is to find a spiritual teacher or guru. Look for a leader with the training to recognize possible possession, to help you find a pathway to rooting it out. 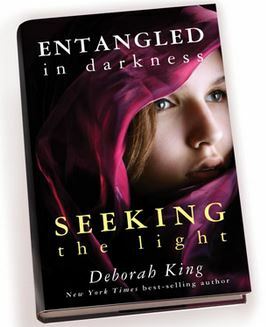 In her new book “Entangled In Darkness: Seeking The Light,” Deborah King tells several riveting stories of her encounters with people who have literally been possessed, and then describes the techniques she developed to release these dark spirits – restoring balance, happiness, and hope. That’s the silver lining to this frightening phenomenon – by learning how to extract these dark forces, we can suddenly feel better than we have in years, finally knowing why we felt the way we did. What a sweet and empowering release! How Can We Clear The Influence of Dead Spirits? It’s important to establish that not all dead spirits are harmful or evil. In fact, we all have powerful, benevolent allies in the world of the unseen. Some may be ancestors lovingly guiding us, while others might be ascended masters who inspire a great many people. But in some cases, the influence of the dead is unwanted, or as we saw in the case of possession – quite harmful. Luckily, we have methods for identifying and eradicating any unwelcome energy from the spirit world. Do you have unexplainable trouble with electronics? Do the light bulbs in your house seem to burn out too quickly and repeatedly? Have you ever witnessed physical evidence of a spiritual invasion, like objects moving around, or items definitely not where you left them? Do your pets give you warning signs that there is a negative presence in the house? 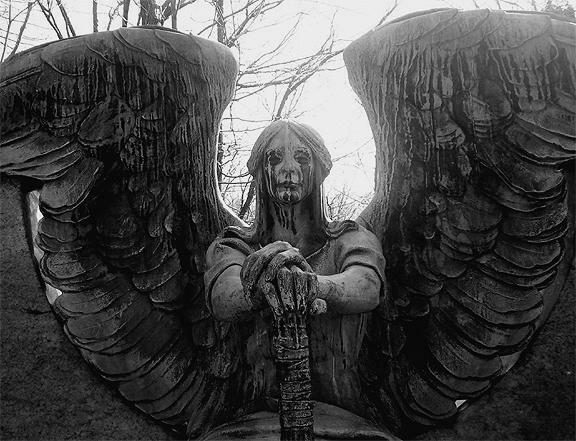 If these phenomena sound familiar, you may be closer to dead spirits than you think. While these occurrences may range from simply odd to downright destructive, it is worth your while to learn how to eliminate them at the source. Again, not all spirits are out to get you. 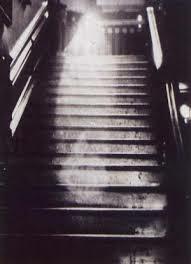 Many of the dead spirits we see evidence of in our lives are simply lost and perhaps confused. They may not even know that they are dead. So, clearing them from our lives can actually help them find release as well. These simple guidelines will help make sure your space belongs to you. 1. Trust your gut. Got a funny feeling about a person, place, or object? Honor it. This intuition is an important clue which will actually help you avoid dead spirits. 2. Prepare and clear new spaces. When you move to a new house, perform simple rituals with Epsom salts or regular salt to banish the previous spirit residents. 3. Spend time in nature. There is vast power to be gained from maintaining an active connection with the natural world. It charges us with life and dispels the dead. 4. Honor your own body. Excellent diet and fitness supercharges your energy and bolsters your connection to life. 5. Choose a symbol for spiritual protection and wear it daily. Wear whatever small talisman or jewelry which resonates for you, whether religious, personal, or cultural. 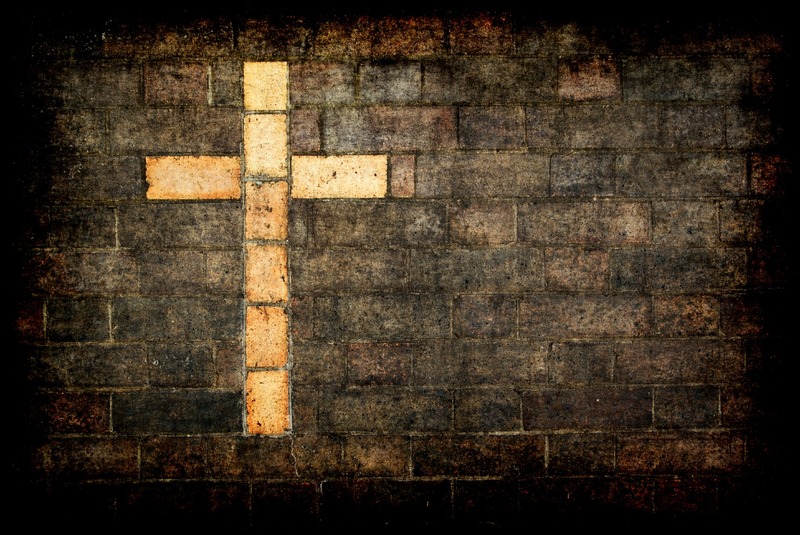 What’s important is that you see this symbol as a marker of faith and positivity. We have much to learn from the world of the unseen and the spirits who dwell there. However, before you attempt to communicate with the dead on purpose, it would be a great idea to seek out a formal training in energy work. 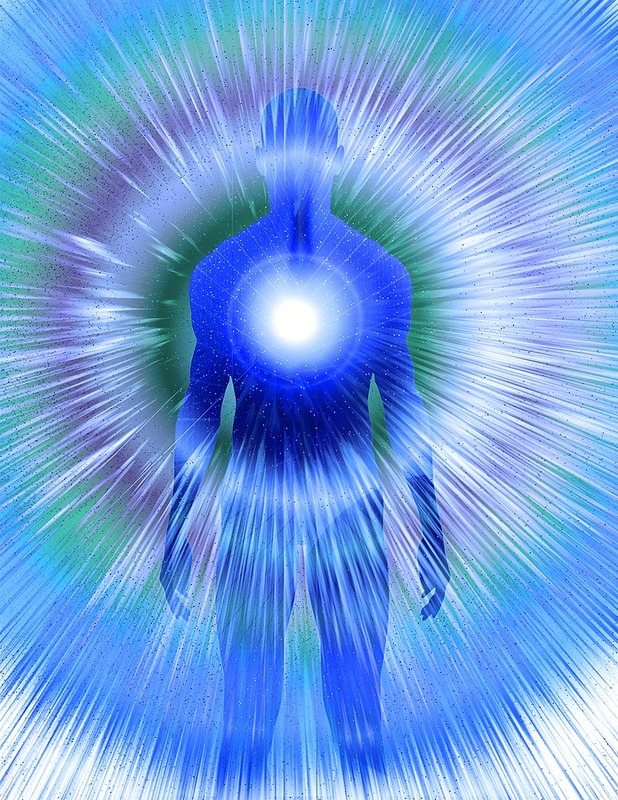 Until you are fully versed in how energy moves through your own body and connects you to the cosmos, the energy of the spirit world will most likely be too much for you to handle. What do you do when you sense you’ve already been slimed by negative energy? Don’t panic! Here are some simple and effective techniques Deborah recommends to clear yourself. — Form an intention every day to be protected by your guides. Connect with those who advise you, and ask them to cover your back. Really, it’s that simple. The best way to form an intention when you’re new at it is to write it down and then say it out loud. With practice, you’ll be able to quickly do this mentally. — If you’re in a situation where you suspect someone may be sending negative energy your way, don’t face that person head-on, but instead stand or sit at a 90-degree angle so that you are at his or her side. This protects you from a direct hit of energy, whether intentional or not. In my experience, the worst hits are the unintentional ones. Since it’s your unconscious thoughts that usually do the most damage, you don’t have a clue that you’re having them. — Every time you have an unpleasant encounter, spend a few quiet minutes alone. Go inside yourself and ask whether you feel as if you got slimed. Ninety percent of the time, you’ll immediately know if you did or not. If you suspect that you picked up some negative energy, take a clearing bath when you get home that night. Again, that recipe is one pound each of sea salt and baking soda. You’ll want to mix the ingredients in a bath that is not too hot, but comfortable, and rest there for a minimum of 20 minutes. When you’re done with your soak, drain the bathwater and shower off, washing your hair, too. This will clear any energy you may have picked up from someone else. It will also make you feel very clear and rested, and you’ll sleep well. Whether you’ve been exposed to negative energy or not, this bath is the ticket for whenever you’ve been overworked—it cleanses and charges your field, and you’ll feel totally refreshed the next day. Water can be healing. Pour a bath, add one pound each of sea salt and baking soda, and soak for 20 minutes or more. Allow all your old feelings and thoughts about your past to be drawn out by the salt water. Look Around – Has Dark Energy Attached Itself To Some Object In Your Life? Just as people can be inhabited and influenced by spirits, inanimate objects can also be touched by dark energy. Any seemingly ordinary and innocent object around your house, like a piece of furniture, old jewelry, or even books and documents. Why? It is possible that a dead spirit is still attached to an object they loved during their lives, or which held some kind of significance for them. Did you ever get a weird, unsettling feeling when handling some old knick-knacks in a thrift store, or while touching a piece of artwork in a friend’s home? This isn’t just an indicator of your aesthetic taste! In fact, you are brushing with some form of dark energy. Of course, once you’ve come into contact with these objects, you’ll need to clear yourself as well. Is it just a better idea to avoid all old objects altogether? Well, that wouldn’t be practical, nor is it necessary. You don’t need to go through life motivated by this kind of fear. However, you have already been gifted with the ultimate tool to protect you from dark energy: your intuition. Draw upon this innate guidance to let you know the energetic status of everything you come into contact with. This is why it’s so important to learn how to cultivate your intuition – a “super power” that we all have built-in. We just have to learn how to access it, and understand what it tells us. Dealing with the dark side of life doesn’t have to be difficult or frightening—you just need to know what to look for and how to protect yourself. — You can purify yourself and your room, even an entire house, by burning Epsom salts. This is an amazing tool, but you have to be very careful in its execution, as you don’t want to burn yourself or start a fire. Get a small ceramic or glass container with a handle—like an individual soup or serving bowl— and put in about one cup of Epsom salts. Then pour over it one-half to one teaspoonful of 150-proof alcohol, the kind that is too strong to drink, and light it with a long-handled lighter. Be sure to use an oven mitt to hold it, as the bowl will get very hot. Shake the container lightly, as the burning alcohol purifies the air. Also move it up and down in front of your body, about four to six inches away for safety (it’s best to have a helper do this step), and around the room. When you cleanse the room, go from the floor to head height in every corner, getting the glass windows, the paintings, and behind the furniture. Remember, proceed with caution, as the container will become very hot. When you’re done, keep your eye on the salts until they’re cool enough to touch with your finger before you dispose of them. For this clearing exercise to work, it’s crucial that you follow these instructions precisely. There is some good news about all of these spirits roaming around – here we have yet another indication that there is indeed some form of life after death as we know it. For humans, one of the most chronic sources of unhappiness doesn’t come from external forces, but originates from within – the fear of death. Our confusion regarding death is one of the greatest sources of resistance and negative emotion we face in our lives. The question of what happens to us after we die has been pondered by poets, scientists, and mystics since time immemorial. Now, we finally might have an answer. Over the last few decades, the mounting evidence reported from Near Death Experiences has proven that there is more to life than meets the eye, and more to our existence than our physical bodies. In these cases, people who have been clinically dead for a brief period of time – due to an accident, or during a surgery, have later been able to describe their after-death experience once they were resuscitated. Would you believe that more than 12 million Americans have had this experience? In her New York Times best-seller “Be Your Own Shaman,” Deborah describes the Near Death Experience as a form of intense initiation into expanded consciousness. In this way, death starts to lose its power to frighten and stifle us. Instead, our eyes start to open to a much broader view of our role as spiritual beings in the universe. This is exactly the type of personal transformation that can come from looking into those “hotspot” places and energies that are scary to us. 1. Dark places within us are worth exploring. 2. Our worst hardships always become platforms for the greatest growth. 3. Truth is our greatest weapon. As a modern day shaman and intuitive energy healer, Deborah King has devoted her life to giving people the tools to transform themselves and step into the light. She has written several popular best-selling books which have inspired readers around the globe. The Deborah King Center is a groundbreaking spiritual resource, offering online classes, in-person workshops, and a wealth of information designed to draw the very best energy in all of us right to the surface. Explore Deborah’s moving, enlightening, and inspiring catalog of courses, downloads, books, and blogs today.